“Art is not what you see, but what you make others see.” French impressionist artist Edgar Degas once made this statement and it could not be truer when considering the contributions of visual artists throughout history. Visual artists, through their work, clarify, expose, underscore and inform in ways that transcend age, ethnicity, language and time. Think Jean Michel Basquiat, Kara Walker, Romare Bearden and Elizabeth Catlett—all African-American artists whose work still speaks volumes and has great influence. 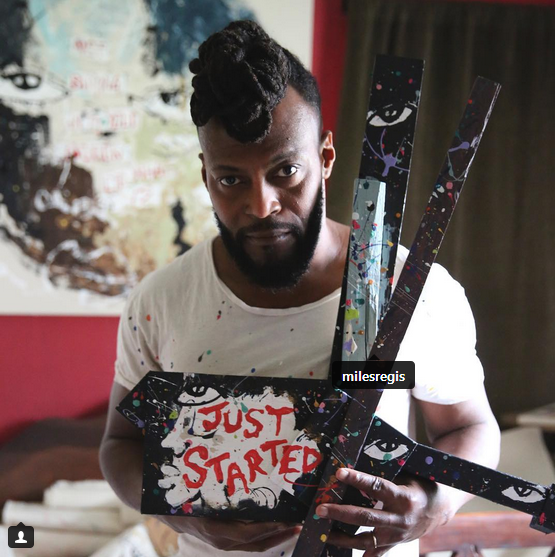 The following 7 African-American artists are taking the baton from these artistic giants and running us all into a new age of beautiful and much-needed expression.